Some thoughts on leaving Zanzibar, my final show, and traveling solo…. I left my hosts Mark and Kristine for the final time and headed back to Stone Town where I had been invited to play a farewell gig on Dreamers Island, before my forward trip to Arusha the next morning. Now deep into Journeys #2 I have begun to discover the psychological rhythms of one of my Journeys. The experiences are so deep and continuous that often there is little space for allowing things to catch up. It´s a case of embracing the moment, continually. On paper this seems a philosophy one easily aspires to. But the fact also remains that we need recovery periods and to digest experience. Zanzibar is known and celebrated as one of the more easy going places on earth. But my experience was equally of great intensity and colour. There are so many facets to a journey – the gigs, the continual meeting of new & interesting people, the foolhardy attempt to attempt to be a documentary maker within the experience. It means that mind is sometimes divided between the experience and recording of it. I have a rhythm with it, but it leads me sometimes into extreme states of mind, which is itself a condition of traveling anyway. I found myself in Stone Town airport today feeling deeply emotional. Maybe one or two of the locals wondered why the man in the brown hat and unwashed kakis had such bloodshot eyes. It was just the emotional effect of forming relationships with people who become friends and more than that, find a place in the house of your heart, and then moving on from them. And battling with a slight sense of exhaustion which is alway my partner whenever I move on. Somehow its become a passenger which always slips into my bag before i set off. The other thing is the forward journey I am making alone, and this is of course always an experience with new dimensions. Anyway I arrived in Stone Town after getting threatened with law courts at two separate police stops – then giving in after an hours argument to a fine for whatever misdemeanor I had committed – a little weary, and with various wrestling going on in my heart. Then on to Dreamers Island to meet Jen and Said who were my hosts for the night. I set off in the boat to the Island (something you could imagine out of the film Wateworld) which is kept afloat by 70 barrels and constructed from wood. The water was choppy and I felt paranoid about all my gear as I had to set up the recording and video session for Swahili and friends who I´d offered to make a video and recording for. Sometimes attempting to do thing professionally as a one man band is a curse, but it is the commitment I have made to myself and the project. Anyway, the dance with the gear and my emotional state paid off and we had a beautiful session as the sun went down before people arrived and I played my show into the evening to a mix of locals, rastas and tourists. in particular I enjoyed getting to know Jen & Said (pictured under Journeys #2 project) and hearing their story of their own emotional roller coaster in building the Dreamers Island. For now, I find myself in Arusha before I have a 6am start tomorrow. 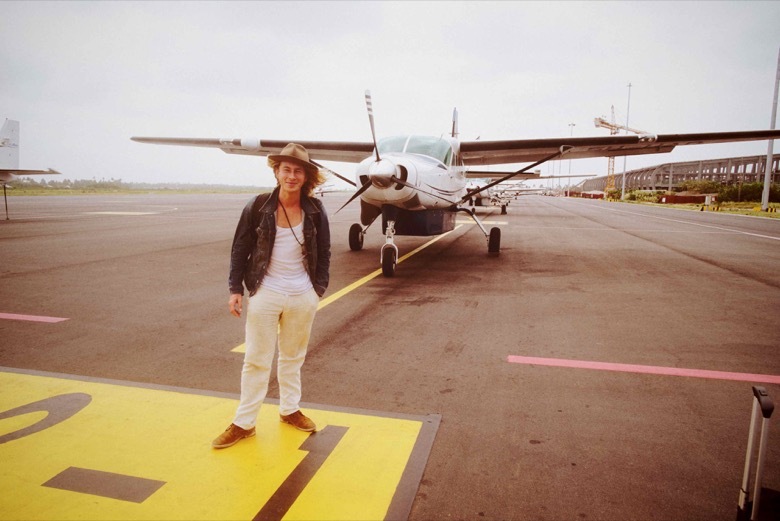 I´m going to head off into the National Park for the day before on Monday visiting the St Josephine´s orphanage, playing some songs, then coming back into town for the Arusha gig. Onwards.